Listening to music without the annoyance of wires or cables dangling to your phone or mp3 player can become a frustration if you find yourself always active. 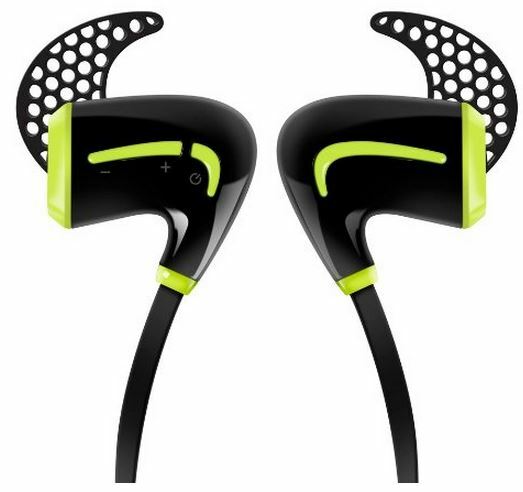 When participating in sports or other strenuous activities, the untethered ability of a quality set of wireless headphones is considered a luxury to most. 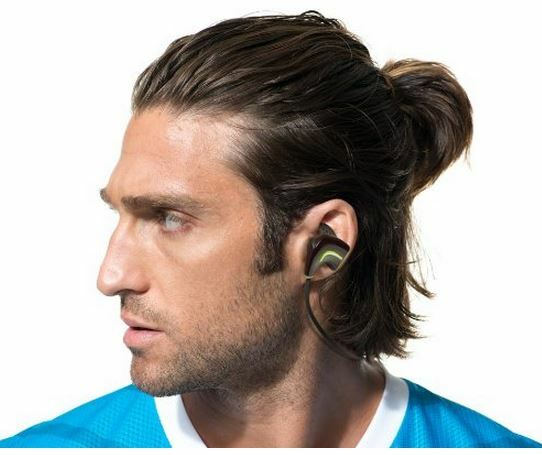 One of the latest and greatest are the Photive PH-BTE50 Bluetooth 4.0 Lightweight Wireless Headphones. They’re built with convenience in mind, and complete quality. Let’s take a closer look to see exactly what they have to offer. Comfort is a major factor when considering which pair of wireless headphones to invest in. After all, you’ll be wearing them for extended periods, so you need to know that they’re cozy. Needless to say, the Photive PH-BTE50 Wireless Headphones are incredibly comfortable to wear, no matter what the activity. They’re ergonomically designed to fit your ears without discomfort so you can focus with your music for the task at hand. Their compact size makes them easy to take with you, wherever you may find yourself. The in-ear design is structured to fit your ears with a sturdy and secure fit that offers premium sound without any latency issues. The internal lithium ion battery lasts a whopping 7-8 hours on a single charge, so you’ll have plenty of listening time before experiencing any low battery issues. Charging is easy. Included is a small micro USB charging cable that will refill the empty battery in under an hour. Just plug it into any USB port and it will power them up so they’re ready to use for another 7-8 hours of enjoyment. 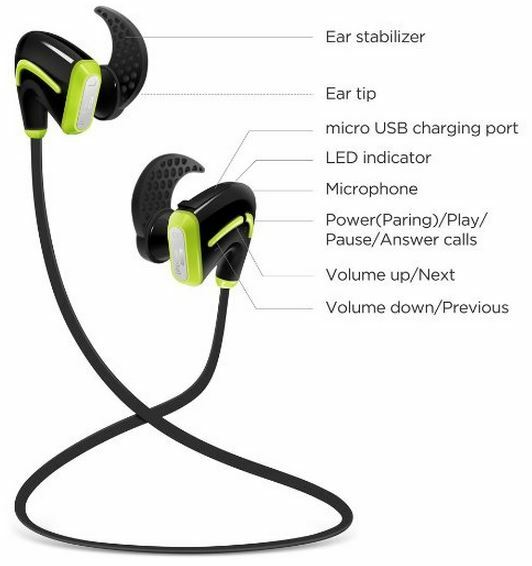 On the exterior side of the earbud, there are small controls located for the simple ability of adjusting your tunes. Carefully scale the volume, or pause and play your favorite song with the push of your fingertip. If the headphones are connected to your cell phone and you receive a phone call, the music will pause and resume once the call has been completed. Built into the earbud is a small microphone that can pickup your voice when you need to make a phone call. It’s discreetly located and exceptionally clear from the other end. One thing that we really love about these wireless headphones is the price point that they’re sold at. Sold on Amazon.com for %60 at $39.95, the Photive PH-BTE50 don’t break the bank. They’re a small price to pay for excellent sound clarity, comfort, and usability. Although we wouldn’t recommend driving a car over them, the Photive PH-BTE50 Bluetooth 4.0 Wireless Headphones are built sturdily and with top quality in mind. They’re comprised of durable materials that feel strong. They’re sweat resistant so you won’t have to worry about their resistance to a bit of moisture or water – just don’t fully submerge them! A lot of times, people buy a specific headphone for a specific purpose. 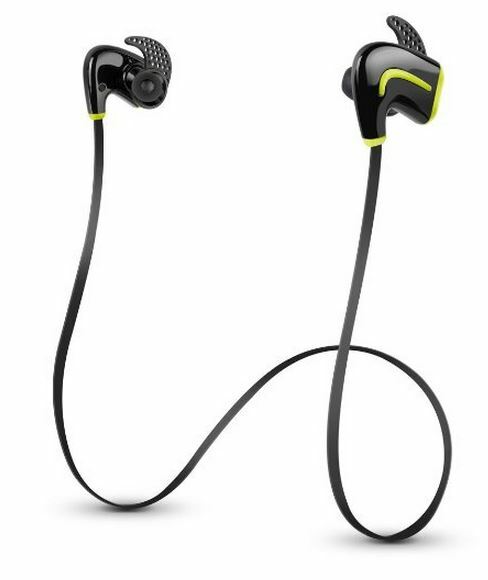 The great thing about the Photive PH-BTE50 is their multi-use capabilities, meaning that they work well for a variety of activities from around the office, to around the sports field, gym, trail, or bike path. When you cut the cables from your life, it makes it a lot easier to enjoy your tunes wherever you find yourself. An assortment of additional accessories is included along with the headphones. A simple to read user guide, micro USB charging cable, ear stabilizers, ear tips, and a handy carrying pouch to keep them secure and protected while not in use. Finding a durable pair of wireless headphones can be a difficult task – there are so many different makes/models to choose from. 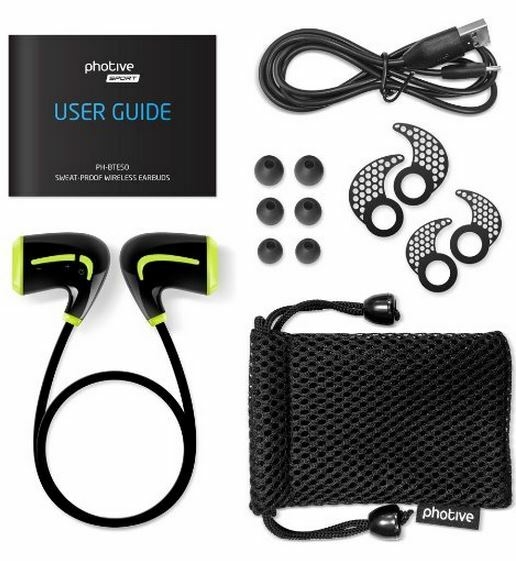 Photive is a great brand, and they’ve proven it by upgrading the previous EB-10 model and releasing the new PH-BTE50 Bluetooth 4.0 Wireless Headphones. They’ve made them ultra durable, sweat resistant, lightweight, and exceptionally feature-rich with a fantastic battery life of around 7-8 hours. 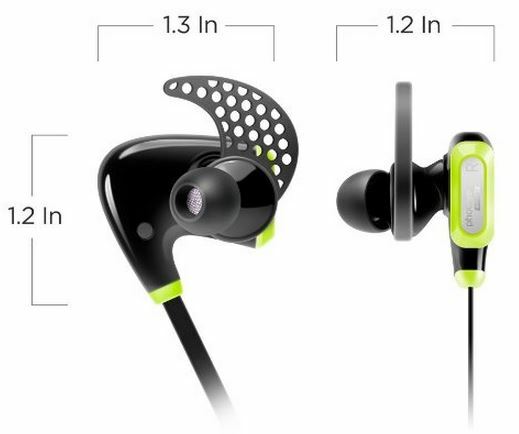 We wouldn’t hesitate to recommend them to anyone who wants to get their hands on a newly released pair of in-ear Bluetooth headphones that won’t disappoint. How do you pair this with an Ipod?